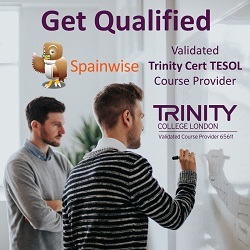 Spainwise is a validated course provider accredited by Trinity College London and we will prepare you for the internationally-recognised Trinity Cert TESOL qualification at our teacher training centre in Cordoba (Spain). At our annual TEFL Jobs Fairs in Cordoba (southern Spain) and Bilbao (northern Spain), you can meet employers in person and discuss job opportunities with the very people you’ll working with. Throughout the year, you can check out the job opportunities advertised by schools from all over Spain on the Spainwise Online Jobs Board. 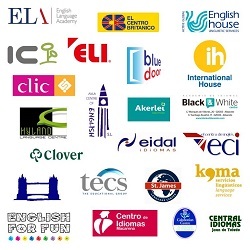 You can browse our directory of schools (all members of, FECEI, the National Federation of Private Language Schools in Spain) and contact the schools which most interest you.